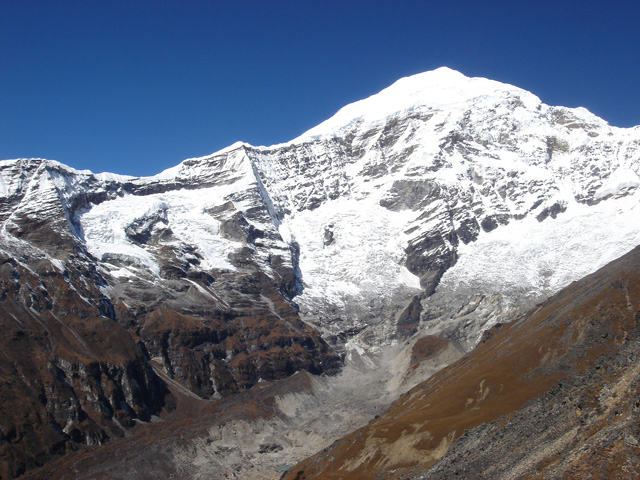 Stunning views of mountains and high peaks such as Jhomolari, Jichu Drake, Tserim Kang and others. Historical monuments such as Dzongs and monasteries. 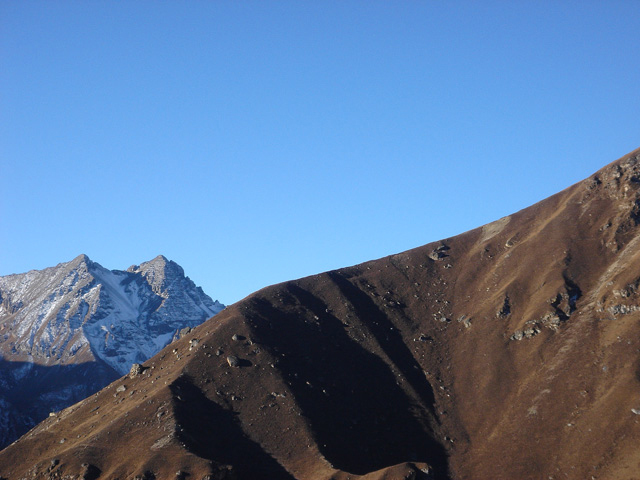 Nothing in the world can prepare you for an astounding panorama that awaits you when you embark on a Snow Leopard Jhomolhari trek in Bhutan (Chomolhari Loop). Along this trek, you will come upon stretches of spectacular scenery, unending expanse of fields, green hills filled with flowers and quiet hamlets below snow-capped peaks. 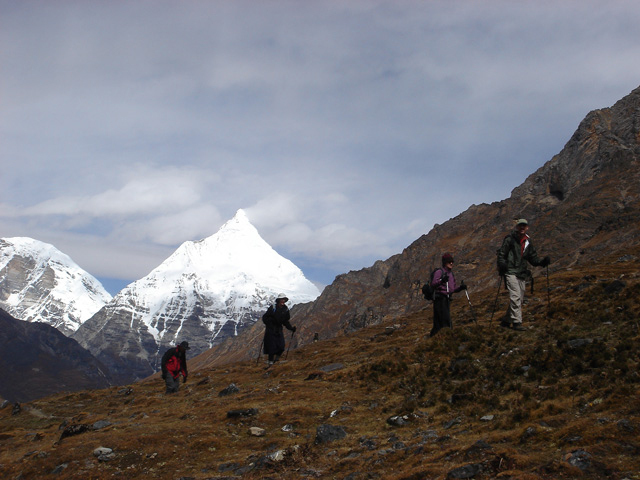 This is one of Bhutan’s finest treks that offer spectacular views of 7,314m Jomolhari with its companions Jitchu Drake and Tserim Kang. 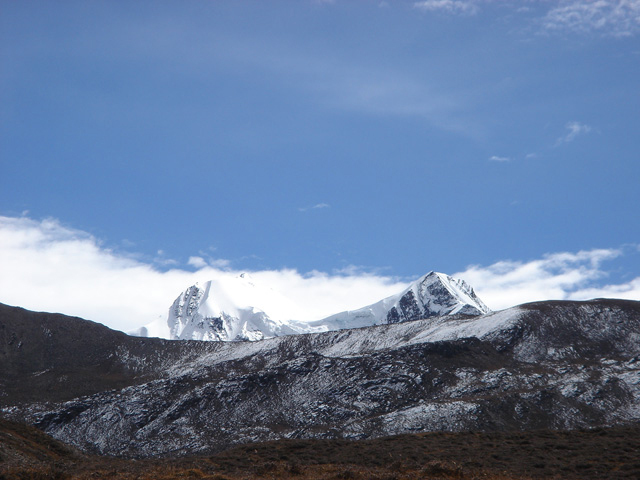 These trio peaks are Bhutan’s highly revered custodians that loom large on the Tibet-Bhutan border close to an ancient trade route from India into Tibet’s Phari Valley. 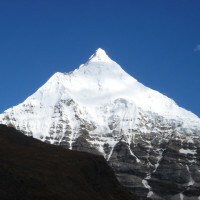 It is thought by many to be the most beautiful mountain in the whole length of the Himalayas. 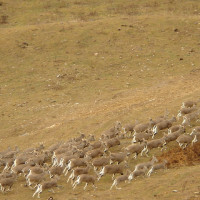 This trek has high chances of sighting the blue-sheep, Takin, and a wide variety of birds. In the spring, rhododendrons, azaleas, and masses of wildflowers carpet the high meadows, while pear and apple trees blossom in the valleys. In the fall, rice paddies ripen to a golden brown, and yak herders bring their charges down from high summer pastures. 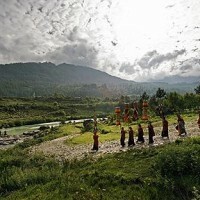 As a part of this small group journey, the some trip combines attending one of the joyous festivals of Bhutan. Upon arrival meet your Guide. In the afternoon begin a short tour of serene Paro valley, where we visit Rinphung Dzong, take a short walk and visit Dungtse Lhakhang to see some ancient murals. Later stroll through charming Paro town. Overnight hotel in Paro. Drive east across spectacular Dochula pass to semi-tropical Punakha-Wandgdue valley. At Dochula pass, enjoy the spectacular mountain panorama and continue the drive descending nearly 1700m (5,500ft) in two hours to Punakha valley. After lunch, tour Wangdue Phrodrang, visit Richengang village, and take a short easy walk to Chimi Lhakhang temple, dedicated to Bhutan’s famous Saint Drukpa Kuenley. Next day, we spend time taking in short hikes and visiting Punakha Dzong, an architectural masterpiece located on the confluence of two rivers. Overnight hotel in Punakha. From Punakha retrace our drive till Dochula for one more opportunity to view Bhutan’s peaks that form the natural boundary with Tibetan Plateau. After enjoying the views over Cuppa and snacks at Dochula, begin 2-hr ridge top walk to Lungchuzekha temple/ retreat center. The trail is through rich vegetation of moss laden birch, hemlock and rhododendrons trees, with excellent views of peaks and the valleys. This trail is adopted by Wind Horse since 2009. Our guides clean and maintain this trail. Picnic lunch at the monastery. Instead of returning to Dochula, walk 1hr downhill to another retreat and monastic center of Trashigang, located on a hilltop. Meet our vehicle and drive short distance to Thimphu, where we visit the great Tashicho Dzong, and the giant Buddha statue, as the sunsets in the valley. Overnight hotel in Thimphu. 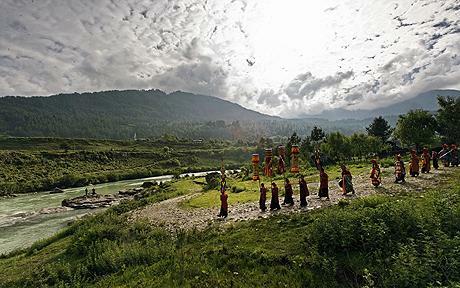 Bhutan’s bucolic capital is nestled in a fertile valley at 2,350m (7500ft). 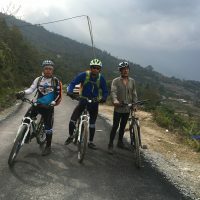 The capital has lot to offer and if there are no events taking place, our agenda is to do a full day tour that takes in some of the highlights such as visiting view points, Takin Preserve, Zilukha nunnery, Traditional Art School, Memorial Chorten, and Changlimithang ground to see if archery is taking place. Visit institute of Traditional Medicine, stop briefly at the National Library, visit the Centennial Farmer’s market and more as per available time. We will also allow some time for you to stroll and shop in the city area if you need to pick up handicrafts or some gears or likes for your trek. Overnight hotel in Thimphu. From Thimphu, we drive to Paro and continue north till Drugyal Dzong (2hrs). Stop briefly to visit the ruins of Drugyal Dzong fortress. Then we drive for another hour or so along the rough farm-road to Shana Zam (2850m). 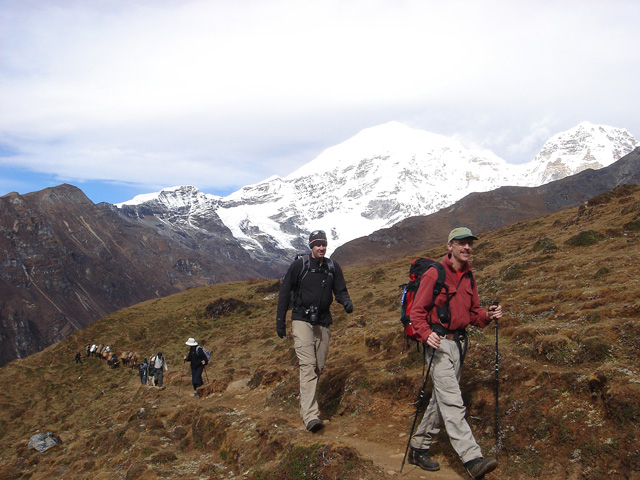 Meet our trekking crew (horseman, cook & assistant), hand over your luggage for the trek. 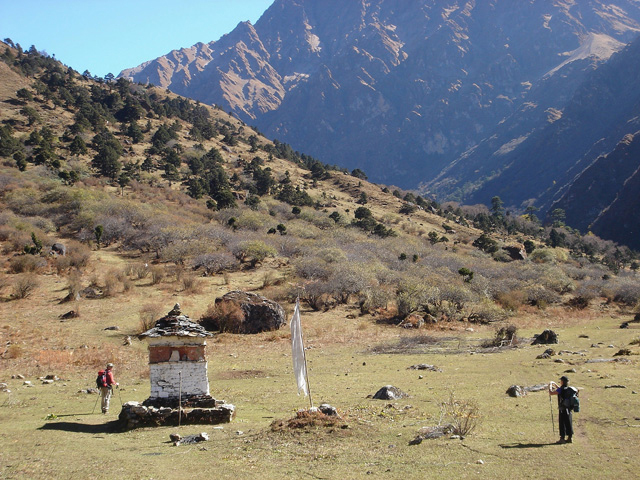 Begin our 3-4hr trek gradually walking up the valley, following Pachu river’s bends deep into J.DW National Park to camp at Thongduzam (3150m). Approx. 8km. 3-4 hours trek, 500m Ascent/200m Descent. Overnight in tent camp. (Approx. 9Km. 4-6 hours trek, 500m Ascent / 50m Descent) Continue up through the valley, following Paro river, which gradually narrows as the trail leads higher, winding up and down through a thick, lush forest of oak, pine, cider and juniper, as we get closer to our camp for the night. 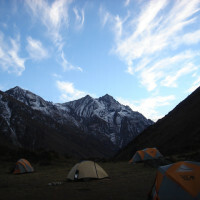 Overnight in tents at around altitude of 3600m. (Approx. 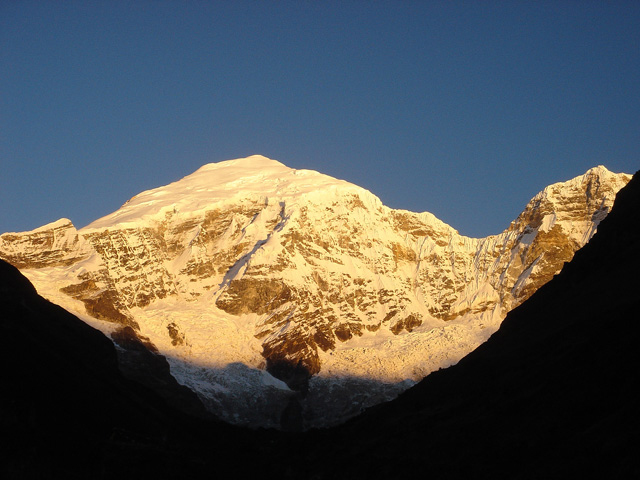 15km/6hr trek – 500 ascent/50m descent) Continue following Paro river as the valley begins to widen, opening to a spectacular area surrounded by high ridges and snow-capped peaks. 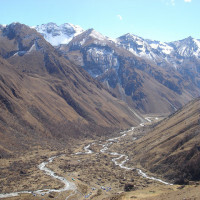 A few yak-herding villages are based in this area. Due to altitude gain, the pace is typically slower. 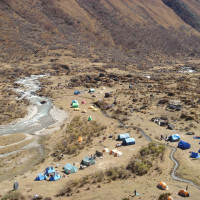 Camp at Jangothang (4,080m) below a ruined fortress with Mt. Jhomolhari, which now seems nearby. Overnight in tents. 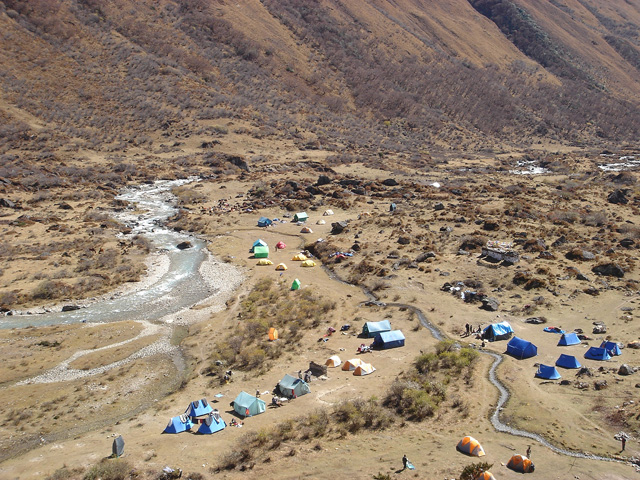 Jangothang is one of the most spectacular camping places in the entire Himalayas. You may wish to rest and enjoy views from your campsite or join for excursions towards the glaciers /moraines of Chomolhari or visit local village nearby. Overnight in tents. (Approx. 16km/ 7 hours trek. 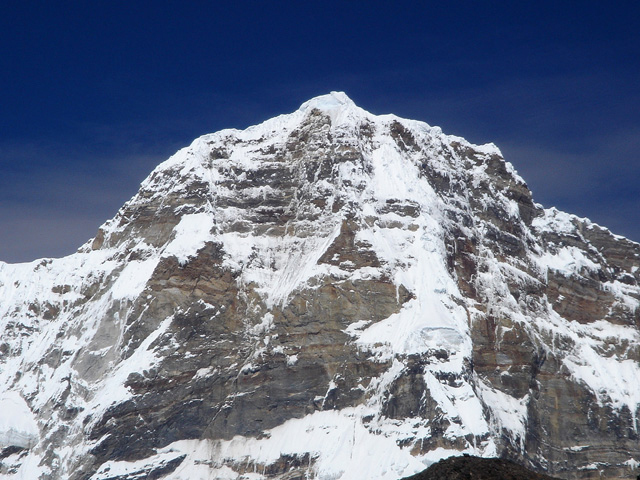 810m Ascent/ 1090m Descent) The trek is now more serious. 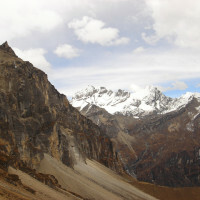 The trail starts with a steep hike to Tshopu lakes and gradually climb up to Bhonte La pass (4,890m). 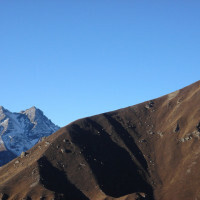 Around these areas, we can often see blue sheep, fat marmots, and migrating Himalayan birds, as well as fabulous views of Jichu Drake and Tserim Kang peaks, along the side of Jhomolhari. 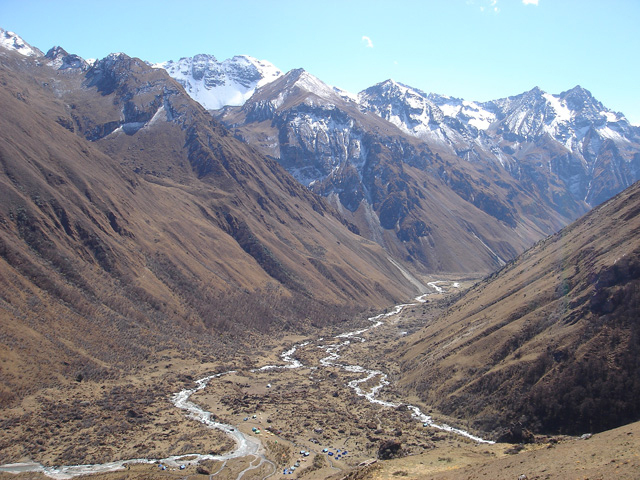 After the pass, it is a steep descent downhill to small yak-herding village of Soi Yaksa and camp near Dumzo at 3800m. Overnight in tents. (Approx. 11KM, 5 hours trek. 720m Ascent/ 340m Descent ) Our hike starts with a gentle uphill trail to the top of the eastern ridge of the Soi Yaksa valley. From here, enjoy an incredible view of the amphitheater of mountains to the north and to the west. 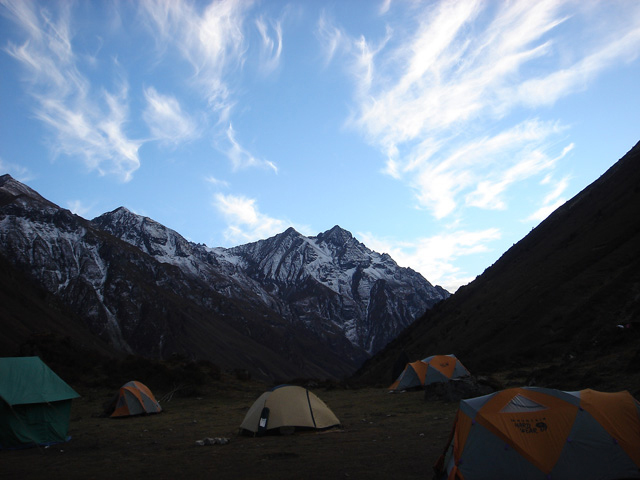 Cross Takhungla (4,520m), and descend to our camp site in a wide grassy pastures by the valley at 4,180m. Overnight in tents. (Approx. 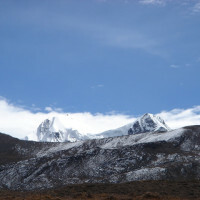 13km/5hr 200m Ascent and 1650m Descent) After a short, steep climb out of camp, leave the remote mountain area by following the ridge to Thombu La (4,380m). From this vantage point we get a glimpse of the Paro valley to the south and mountain views all around. 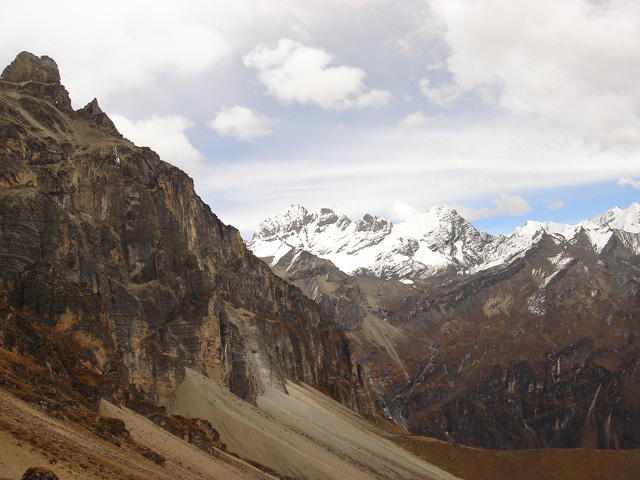 Start steep descent and rejoin our route to Shana, where we first began our trek. 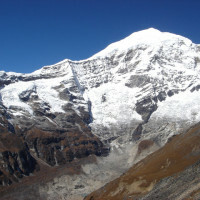 Bid farewell to trekking crew, meet the vehicle and, drive along the farm road to Paro. Arrive in the evening to the comforts of your hotel in Paro. Full day for hike to iconic Taktsang (tiger’s nest) monastery, an quintessential Bhutan travel experience! As you will have covered more grounds on foot, we hope to take you beyond Takstang to visit more remote monasteries further uphill such as Zangdopelri, Ugyen Tshemo and also walk to other side of the Takstang that is not accessible from the main site. This is a full day hike. Return to Paro, where we get chance for final stroll. Farewell dinner and overnight in Paro. MealsAll meals plus evening tea. All beverages included during the trek. Trip AccommodationBest available tourists standard hotels, where available. 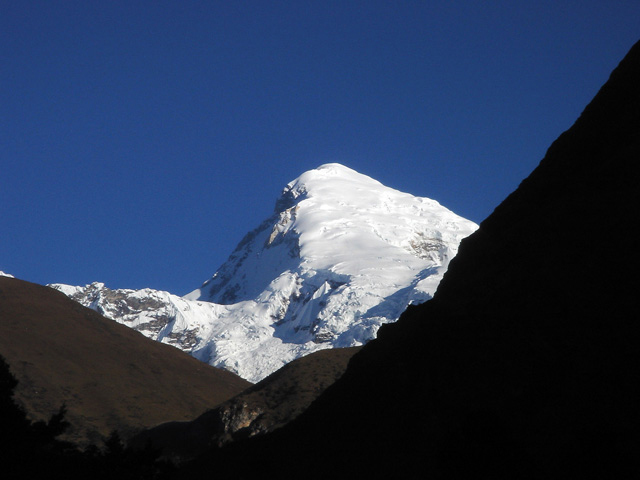 We update our trekking equipment and gear regularly and so you will receive the best gears. RouteParo - Punakha- Thimphu- Trek to Thongduzam, Soithangthangkha, Jangothang - Dumzo (Yaksa), Thongbu Shong and end trek in Shana - Paro (Takstang hike). In the winter (late Nov till early March it is snowed in) and in summer (June till early Sept), it rains frequently, although it is flowering season in the high places. From $3050 to 3950 per person. Cost is based on the number of participants. For details contact us. 18 Apr, 2019 01 May, 2019 Attending Rhododendron Festival Available Book now! 9-2 = 7 Seats left Book now! English Speaking Wind Horse Local Tour Leader. During the trek: Fully organized trek with all meals, and beverages. 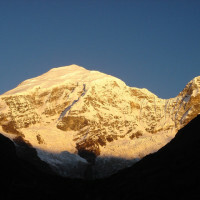 All trekking gears including Tents, Thermal mats, Blow pillow, Hot-water bag for warmth during night. Pressured Altitude Bag for emergencies (only available in Bhutan with Wind Horse). Pack animals to carry luggage and additional riding pony for emergency, Basic Medical Kit. 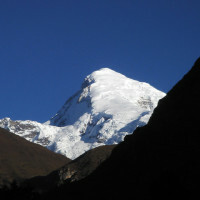 Trekking staffs include Guide, Cook, assistants and horseman. Flights in and out of Bhutan purchased separately. Check our website for Druk Air fares. Personal trekking gears such personal Day pack, clothing, shoes etc. 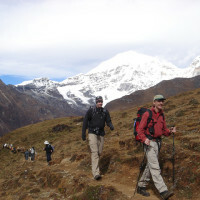 For trek, trekking equipment are updated and trendy. 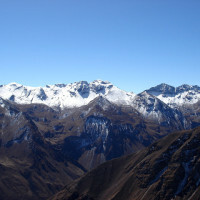 You can find complete list on detailed Itinerary, please ask for it. I apologize for the late reply but coming back home after many days implied a lot of things to be done so I was extremely busy. I was ( and am..) really enthusiastic about my trip because I discovered an incredible country so rich in nature and culture as very few other ones I ever visited. As I told you I was definitely not happy with the hotel in Punakha which was less than a second choice but for one night it was ok. Also chuumey was not so impressive but the place itself was very nice. All the other ones were good Running from the ( obvious...) excellence of Naksel to the fantastic location and structure of Gangtey palace and so on, but what was really fascinating and lovable was the friendliness and the attention in service which I noticed and remarked in everybody . From the staff in each place : this is something I didn’t find very often in my travels. As for Tashi and Fren they were extremely nice and friendly , helpful and always trying to help in solving little problems and inconveniences which might occur. I would definitely recommend both of them for future customers. It’s really a pity that the country is not so popular for tourism (Many friends asked me WHERE was Bhutan...) even if for me it was great like that since I hate big tourist groups... But for the country in itself I think you should try to make it more popular as a destination because more people should be able to enjoy its treasures... For my part I will try to encourage people to go there ! 5 " " Hi Anand! I hope the tipping issue went ok…if anything, I tipped high…but for great service, so ok with me. The trip went very well, from my perspective. I was so excited to cross that high pass! I don’t know if you heard about the eldest queen mother visit in the monastery. Hi Anand! I hope the tipping issue went ok…if anything, I tipped high…but for great service, so ok with me. The trip went very well, from my perspective. I was so excited to cross that high pass! I don’t know if you heard about the eldest queen mother visit in the monastery. She said it was “auspicious” that no one else signed up for the tour, and she turned out to be right. I had trouble on parts of the descents—(a) I HATE exposure and (b) trail rocky, scree, “kneebanger,” slippery that I needed to do slowly to protect knees and out of fear I'd slip & injure myself. Pema galantly helped out e.g., on big, difficult steps, holding my hand so I could put weight on his hand and ease myself down. The last day it took me 6 hours to do the 5,000’ descent. I felt bad that extra 2 hours ate into the crews’ free afternoon and probably drove Pema and Dechen nuts. But anyway I made it. The crew was very solicitous of my every need on the trek. They couldn’t have been nicer. They even let me eat in the warm kitchen tent—the dining tent was too cold. On the first week (and also during the trek), Pema answered my hundreds of questions about Bhutan. What a luxury it was to be able to ask questions all the time and get answers. He was so knowledgeable. It was hard not having “peers” to socialize with, but it wasn’t terribly hard, and as just described, being the sole customer had a lot of advantages. I would never have received the same attention had I been in a big group, and those hard descents would have been even harder. Please let me know if you have any specific questions I haven’t answered. I would definitely recommend Wind Horse to anyone. The guide/crew were very professional and very solicitous of my needs. I was extremely pleased. 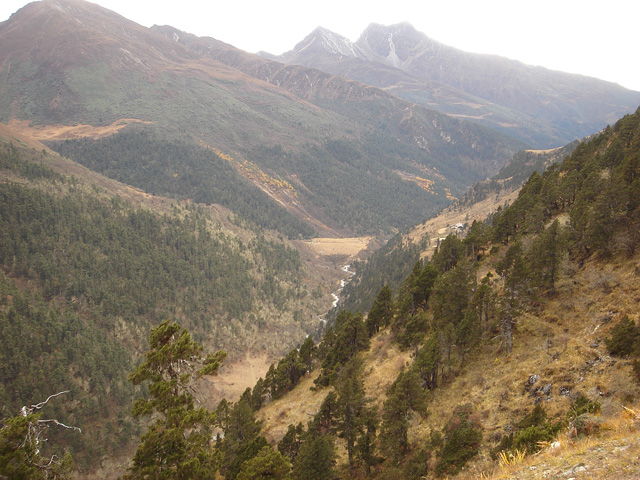 Our journey in the mountains of Bhutan was richly rewarding. A gift not wrapped in paper but bound instead in the thread of discovery and the characters we were blessed to encounter along the way. A journey of reflection and life in focus - so generously mentored by the welcoming will and inspiring talents of the Bhutanese people, Like our fabulous guides Yonten and Pema, who helped us climb higher..beyond....as each new step took our breath further away. Thank you! And also thank you to all our amazing crew and the nine ponies ... especially camera pony! Everyone we encountered helped make our expedition an experience that will long be remembered as an outstanding example of living in the moment.. Thanks to Bas at Kimkim for making the arrangements so easy and to Wind Horse for organising everything on the ground. Thoroughly enjoyed this Bhut-Camp! Snow Leopard Trek -Fall 2017 A little late to responding to this but just wanted to say that the trip was fabulously planned and organised. Hi Anand - Thanks for reaching out! Overall we were overwhelmingly pleased with our experience with Windhorse. Our tour with Yonten was seamless. From the time we were picked up at the airport, to changing our trekking itinerary after our biggest hiking day, to finding us great pizza, then finally dropping us off at the airport - the experience was wonderful. Yonten was very accommodating. We came in wanting to find our Uncle's tsa-tsas in one of the caves on the way up to Tiger's Nest so after 7 days in the mountains we asked Yonten to take us up to Tiger's Nest before the crowds at 6am to avoid the crowds so we could have a quiet moment and hopefully a better chance of finding his ashes. Everything worked out perfectly and Yonten was really committed to making sure we found what we were looking for. We feel like we were really well paired with our guide. The trekking experience was above and beyond what we expected. The team was on top of snacks, meals, our tents, hot water bottles - everything that made being in the mountains a lot more comfortable than we're all used to. After our toughest trekking day we realized we probably we're up to have another day of really tough trekking after it (which was on our schedule) and Yonten worked with the trekking team to make sure we had options that we were happy with. We can't thank you enough. Our trip to Bhutan was incredibly special for a number of reasons and I'm sure we'll be back. 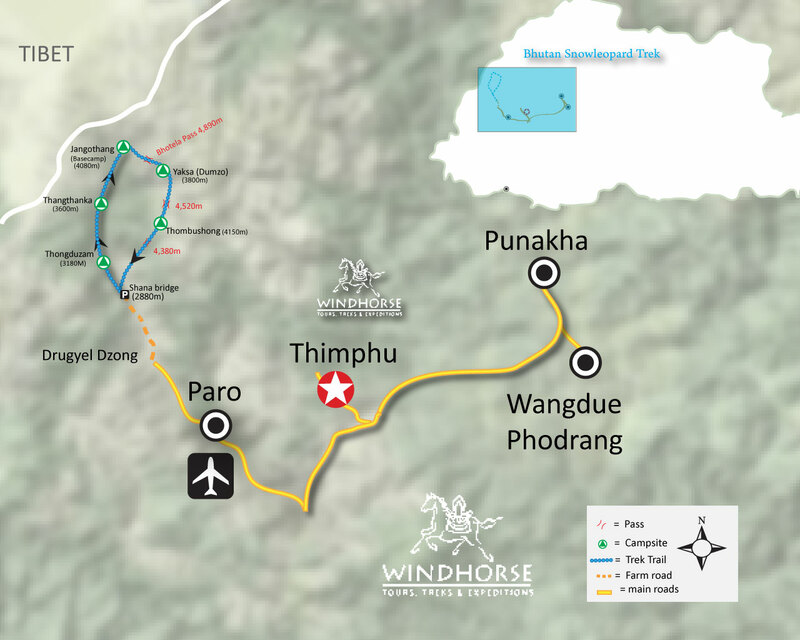 Windhorse gave us a fantastic introduction to Bhutan - Yonten in particular. June 7, 2017 The lure to travel to and experience Bhutan began more than 20 years ago when its relative isolation lent it an “other-worldly Last Shangri-la” sheen. Over the years, the call became even more pronounced as Druk Yul (a.k.a the Land of the ThunderDragon) adopted the seemingly abstract vision of measuring Gross DomesticHappiness versus Gross Domestic Product to gauge its economic development and the quality of life of its people. More recently, Bhutan’s Constitution which mandates that it maintain no less than 60% forest cover, makes it a carbon negative country. 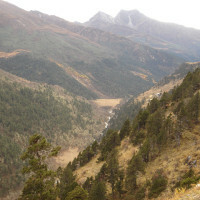 At present, Bhutan’s forest cover which approximates 72% has added to its allure. These and the quiet gentleness of the country and its people pulled at my heartstrings. Three themes/activities shaped my travel plans. First, I wanted to see and experience two or more spring Tsechus/religious festivals. 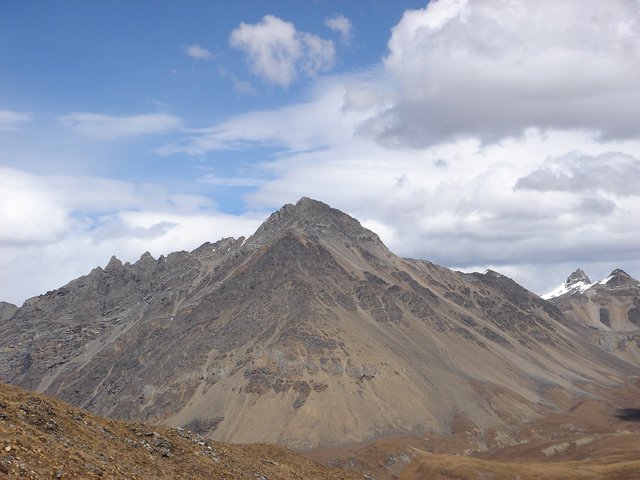 Second, a 6-8 day trek that would skirt aglacial lake and a high pass or two was on tap. 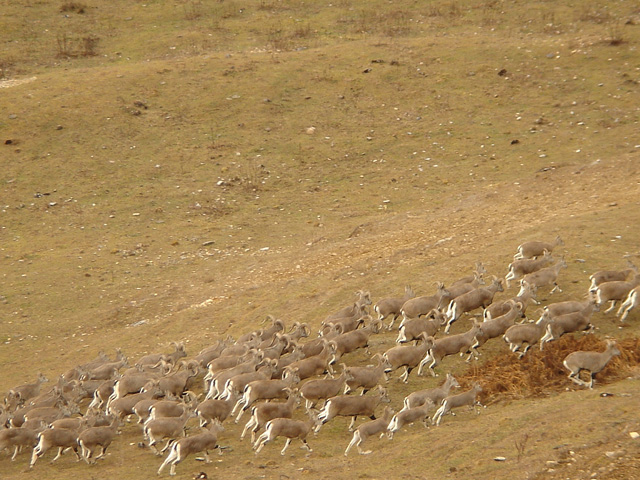 Lastly, a more immersive and interactive cultural journey in the countryside would cap my 26-day sojourn inBhutan. Getting these plans in place was a challenge. No international tour or adventure operator was able to easily put together an itinerary that met my expectations and/or requirements. 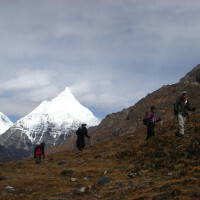 The reason being, international tour operators are required to use or work with Bhutanese tour operators when arranging tours within Bhutan making international operators largely dependent on local operators. 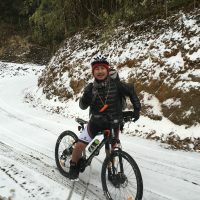 Hence, while trolling the Internet and looking for alternatives, I chanced upon Wind HorseTours, Treks and Expeditions (https://www.windhorsetours.com/), a Bhutanese tour operator whose head office is in Minneapolis, MN. With WindHorse Tours I was able to make my travel arrangements with ease and confidence. In addition, having a U.S.-based office simplified matters considerably. Ugen Tschering, operating out of Minneapolis, was most patient, helpful and instructive in guiding my travel plans. 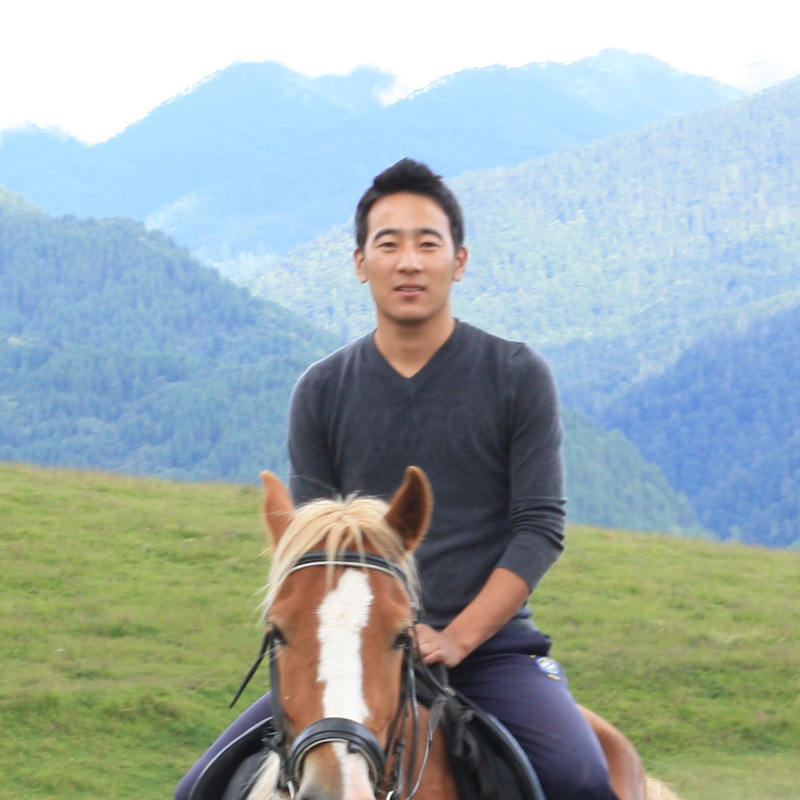 In particular, Ugen customized the third leg of my trip and put together a wonderful mix of home stays, day hikes, a day and a half on horseback, visits to dzongs, monasteries, a nunnery, museums, drives through the countryside and village walk-abouts. Jambay Dorji’s logistical support, follow-throughs and quick responses (from Thimpu) to my many questions gave me the comfort and assurance that all was inorder. Both gentlemen were friendly, warm, professional, and efficient in their dealings with me. I trusted their wisdom and advice wholeheartedly. 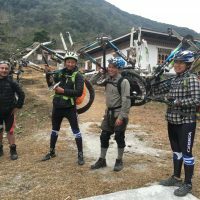 I flew into Paro from Bangkok and upon meeting Pema, our Chief Guide (who would also lead our Jhomolhari trek), Gudu (our amicable and smooth-steering driver) and Tshering (a most helpful, smiling guide-in-training) it quickly became apparent that we were in the best of hands. Pema is a seasoned guide. He was attentive, sensitive to the needs of everyone in our group and readily introduced us to Bhutanese culture, cuisine, folklore and humour. Moreover, his deep knowledge and understanding of Vajrayana (tantric)Buddhism was enlightening. Pema also made sure we got the most out of the Talo and Paro Tsechu festivals we attended. Half of our group departed after the first week and three of us stayed on to do the seven-day Jhomolhari trek. Our crew was made up of Pema (Chief Guide), Tshering (Assistant Guide), Kelten (Chief Cook), Yeshey (Assistant Cook), 2 horsemen, 7 or more horses, a donkey and a mule. We started at Shana Zam (altitude 2850 metres/~9350feet) and over 3 days we wound our way through a valley, crossed the Paro rivera number of times and hiked through forests treed with cider, juniper, pine and oak. On the third day we reached Jangothang Base Camp, (altitude 4080 metres/~13386feet) where the sunrise view of Jomolhari in the distance was breathtaking! The next day being a rest day, Tshering and I, with more gumption than direction,clambered over boulders and scree to reach a glacier fed lake to the east of the camp. Were it not for Pema’s solicitousness, patience and excellent pacing of our ascents and the crossings we made over Bhonte La pass (4890 metres/~16043 feet), Takhungla pass(4520 metres/~14829 feet) and Thombu La pass (4380 metres/~14379 feet), I doubt that I would have managed as well as I did. From Thimpu, Jambay called to check on our well-being as he was concerned the inclement weather in Thimphu could delay or affect the rest of our trek. In same fashion, like a concerned son,Tschering kept me good-natured company as we both hummed songs on the 1650metre/~5413 feet descent on the last day of the trek. The happiness and inner peace I felt after coming down the mountain are beyond words. Given the challenges thrown our way, the oneness with nature and the sense of quiet accomplishment made it all the sweeter. To top it all off and to Gudu’s credit, he had at theready tall, cold bottles of golden Red Panda beer (or was it Druk 11000) to wash away our fatigue at the end of the trek. 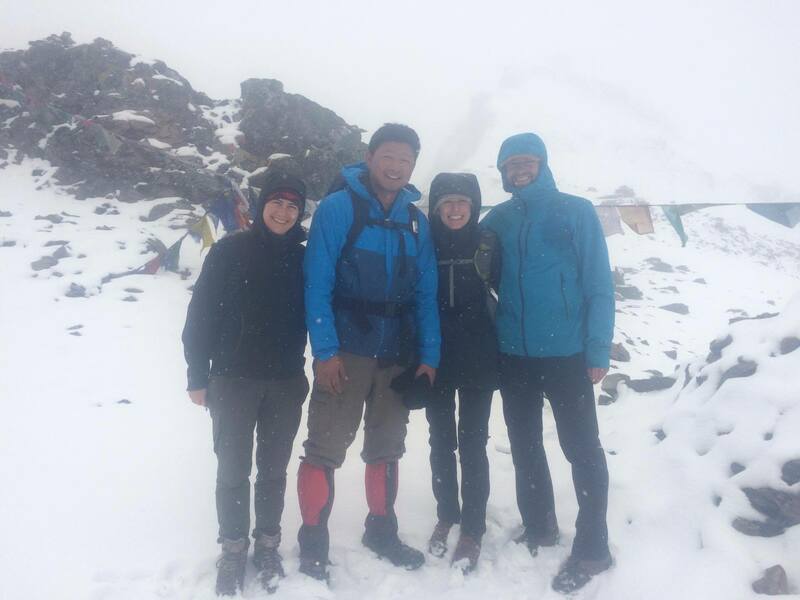 I will beeternally grateful to Pema, Tshering, Gudu and all who made this trek a fulfilled dream. Flying to Bumthang a day later, I began the third and last leg of my Bhutan experience. Gaki was my young and sweet lady guide, Tenzin was our cheerful, gallant and able driver, and Pema (not our earlier hiking guide but a different Pema) was our lead horseman and riding guide. Dzongs, Buddhist lakhangs (temples), maroon robed monks, prayer flags, prayer wheels, chili-laced dishes, yaks and yak cheese were a-plenty. However, it was the interaction with the locals that made the trip all the more endearing. Hiking down from the monastery in Padselling we were led part way by a young lama, his student and 2 dogs. Shortly after they left us, we came to a fork on the trail. Gaki made the right choice and we hiked through the forest, into a valley and open fields. As we climbed over a stile and came off the trail, we spotted a worried Tenzin in his Gho (traditional menswear), walking up the dusty road,umbrella and water bottles in hand, rescue in mind, The sight was priceless! Riding on horseback from Ngalakhang to the village of Nagsphel, Pema was caught in a dilemma as to who to attend to first when we took off on a gallop and the horses had to be reined in. Should he attend to me, the client, first or help Gakiwho was struggling to stay on her horse? I managed to rein in and quiet down my horse so Pema ran off to assist Gaki who had fallen off her horse! In Mesethang,our host, his mother and aunt were most gracious and welcomed us warmly intotheir lodge/farm house. The same warm hospitality was extended us by the family whose home we shared in the village of Nangsphel. In Chumey, while discussing fabric with staff at our lodge, we arranged to buy a couple of yards of locally woven fabric when we returned to Thimpu. We picked up the fabric, and with Gaki’s resourcefulness we found a tailor and got it sewn into my very own Kira(national dress for women in Bhutan) - all in the span of a day! For all thatI saw, heard, tasted, smelt and experienced in Bhutan, there is Wind Horse Tours to thank in spades!Without the attention, organisation, follow-through and terrific front and back office handlers, guides, drivers and support staff, Bhutan would still be adream. Hi Anand The trip was fantastic. I had a fantastic time. I can't wait to visit your wonderful country again. As a matter of fact, I have already recommended your company to some friends that want to Bhutan in October. 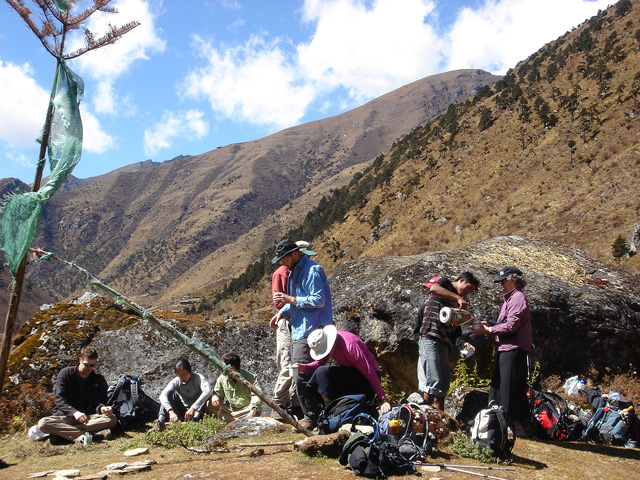 The trek was fantastic, the food was fantastic, the helpers were very attentive and friendly. Tashi my guide was fantastic, provided me with a lot of knowledge about Bhutan and the fauna and flora. Jimmy the driver was wonderful. If you have any further questions to ask me, please do. 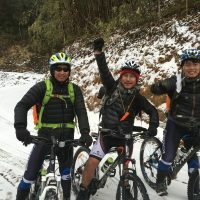 I am happy to recommend this company for anybody that wants to visit Bhutan. Switzerland April 16 - 29, 2016. Dear Anand Thank you for you email and sorry for the late answer. But no worries, the trip to Bhutan was just wonderful! I loved especially the trekking although it was quite short, so a good reason to go back in the near future… I loved the campsites and the living in this beautiful area and of course the trekking crew did a superb job! They cooked such delicious food every day and were so friendly and again a big thank you to Minchu, Kinsey, Kinsang and the Hotrseman, which name I forgot (I hope I spelled the others right) but I will always remember his lovely whistling concerts…! 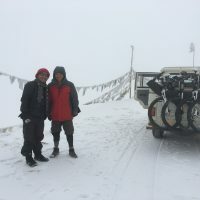 Also Pema did a great job and he is a very good guide and just a lovely person and Dawa too, he is a very good driver. The only things to improve on the trek are already mentioned, especially the mattress was too hard, so it will be appreciated if you replace them. And concerning the program skip the rhododendron festival at the royal botanic garden, that was nothing special and there were even no flowers… Thank you for all the organization and I wish the whole Windhorse team all the best and will get back to you if I will return to Bhutan in the next years! Hi Jambay, I've been back for two days now and wanted to write while the impressions are still fresh in my mind. First off, let me say that the communication and client service was excellent. Unfortunately the nature of my work makes longterm planning difficult but you were able to make me a last-minute addition to the trip which I really appreciated. As for the trip it itself, it was amazing. Bhutan is a place that delights and challenges the mind, halfway between isolation and invasion - in the form of outside world forcing a way in through tourists (ourselves included) and the internet, media, etc. At the same time, the uniqueness of the culture is very obvious, especially in the more remote parts but even in Thimphu. Like I said, it challenges ones pre-conceptions daily. 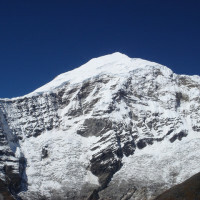 Pena was an excellent and knowledgeable guide, Dawa a very safe, patient and invariably courteous driver, and the trekking crew were brilliant. Highlights included: archery, Punakha Dzong (being there for the naming of the new prince was a real bonus), Tiger's Nest (of course) and especially days 3-7 of the trek (from Jomolhari Base Camp on). The scenery was really stunning, but especially from that point forward. 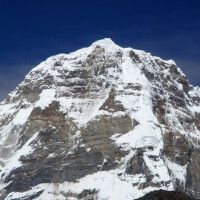 A few suggestions: 1) the trekking tourist organizations might want to pressure the crews putting the power lines in to clean up after themselves. The amount of garbage around campsites and along the trails on the first two days did detract from the experience; 2) The "mattresses" provided were harder than the ground I think! Perhaps recommend people bring their own air mattresses (I wish I had) or upgrade the ones you supply so they both insulate and pad. On the subject of comforts, the camp chairs could also be upgraded, but the mattresses are the real priority. But those minor quibbles should take nothing away from what was a magnificent experience. Thanks again to the whole team. I hope all is well with you, and apologies for such long silence. After spending two wonderful weeks in Bhutan, we came back home to a heavy work load, and I just had the chance to put together all my photos from the trip. 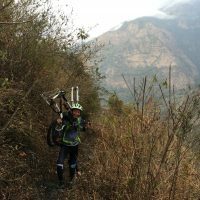 I don't have the emails of our first guide, Tsering, and the hike crew. Can you please forward the link to them as well? Day 1 7.5 km 2:40 Day 2 8.9 km 3:56 Day 3 12.8 km 5:25 Day 4 11.3 km 3:46 Day 5 19.1 km 7:10 Day 6 11.4 km 4:08 Day 7 14.4 km 3:18 This was really a fantastic hike. The only change I could suggest would be to combine the first two days if your customers are fit enough and if you prefer to do this in 6 instead of 7 days. We thought we could handle and enjoy the long and gradual hike up to the second campsite in one day. I wish you and your families all the best! 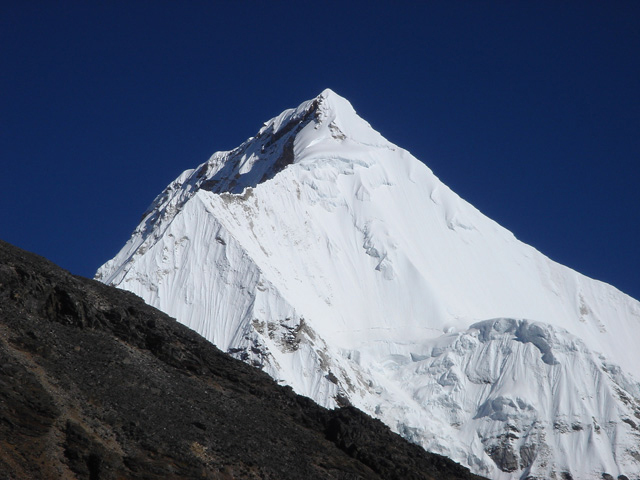 First and foremost we would like to recognize the excellent guidance of Pema Namgyal who trained our eyes to the majestic beauty of his country. From historical dzongs to spiritual sites, from mountain passes to rhododendrons fields, Pema was always at the ready to clearly explain, to highlight and to advise when necessary. 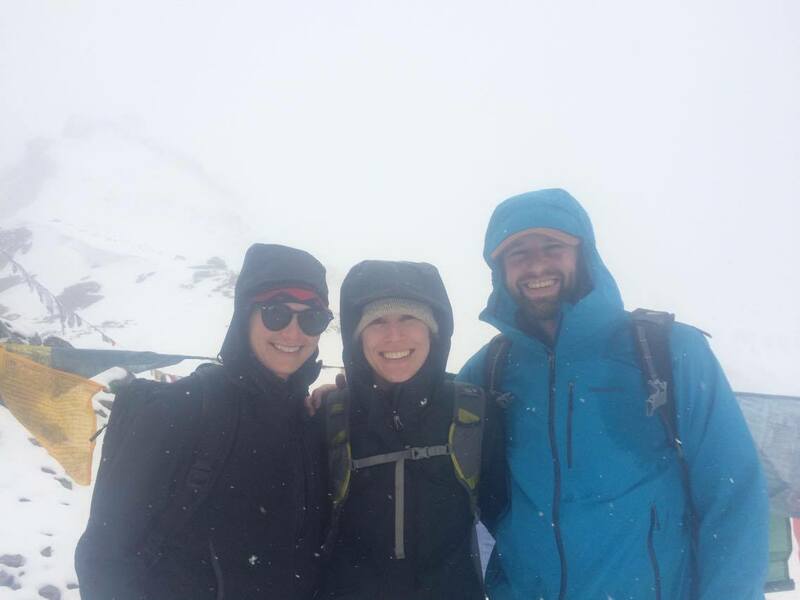 His experience on the trail proved invaluable and his concern for everyone's safety and well being made for a seamless and rewarding experience. Over the course of our trip, we had two excellent drivers, Gudud and Baliman (sorry for the spelling of your names) who navigated the challenging roads with a sure hand. And how could we thank enough the friendly and hardy trek staff who became our "family"for a week: our cowboy chef and his assistant who consistently served us hot, healthy and plentiful meals, the always smiling ponies wranglers and our "young ones", Somten and Kinsan, light footed companions on the trail and the morning "bed tea"providers. To the entire Windhorse team, Thank you very much for your fantastic Snow Leopard trek. You lead guide Pema was knowledgeable while taking us through the cultural part of the tour, he kept each and every monastery interesting and unique. Once we got on the trek itself, he was very attentive to the trekkers that were weaker hikers, and made sure that they had any extra attention needed. The rest of the crew were all fun and professional. We have nothing but praise for the way Windhorse organized and handled our two weeks in Bhutan. 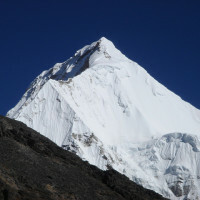 From the initial planning of our custom itinerary for a group of eight, the visas and airline flights, the hotel reservations, the week of touring and finally the week on the Jhomolhari/Snow Leopard trek; every aspect of our trip was expertly managed by Ugyen in the USA and Jambay in Bhutan. 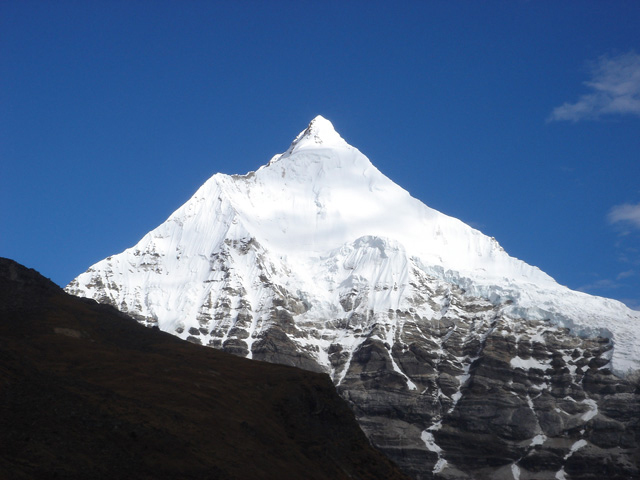 First and foremost we would like to recognize the excellent guidance of Pema Namgyal who trained our eyes to the majestic beauty of his country. From historical dzongs to spiritual sites, from mountain passes to rhododendrons fields, Pema was always at the ready to clearly explain, to highlight and to advise when necessary. 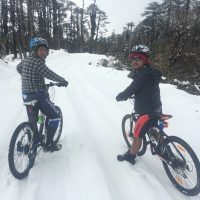 His experience on the trail proved invaluable and his concern for everyone's safety and well being made for a seamless and rewarding experience. Over the course of our trip, we had two excellent drivers, Gudu and Baliman who navigated the challenging roads with a sure hand. And how could we thank enough the friendly and hardy trek staff who became our "family"for a week: our cowboy chef and his assistant who consistently served us hot, healthy and plentiful meals, the always smiling ponies wranglers and our "young ones", Somten and Kinsan, light footed companions on the trail and the morning "bed tea"providers. The outstanding event of our first week had to be the festival in Thimpu (Tsechu) with the riot of colorful traditional garments worn by all, the imposing backdrop of the dzong and the spectacular costumes and masks of the dancers. It also led us to experience first hand the friendliness of the Bhutanese people and to appreciate the reverence and respect they hold for their country and their king. We traveled across Dochu-La pass to Punakha and visited its impressive dzong; we also drove to Chele-La pass where we had our first sighting of Jhomolhari and hiked to the Kila Nunnery. 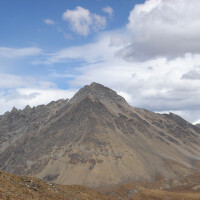 The trek designated by Windhorse as the Snow Leopard trek is in fact the Jhomolhari trek 1. 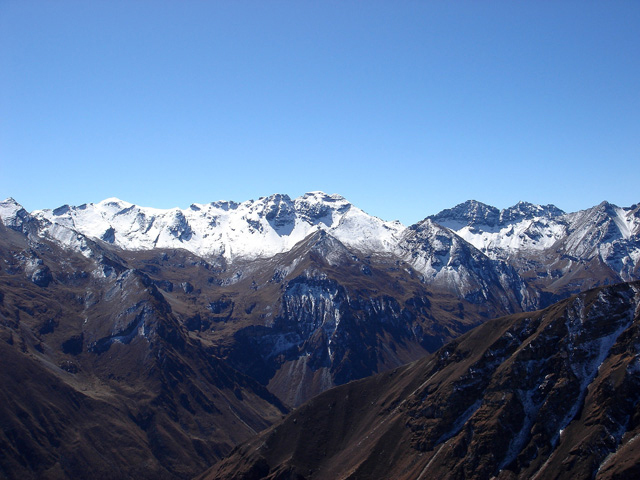 It offers amazing vistas and is somewhat challenging because of the terrain and the elevation gain. Everything was done from the moment we arrived in Bhutan to facilitate and adapt us to the high altitude we would have to manage on the trek i.e. frequent day hikes and a rest day at base camp. The camping equipment provided was adequate and in good standing; we brought our own sleeping bags. Bhutan is indeed a magical destination and we feel fortunate to have attended one of its main festivals, to have visited its glorious dzongs and experienced the serenity of its mountains. 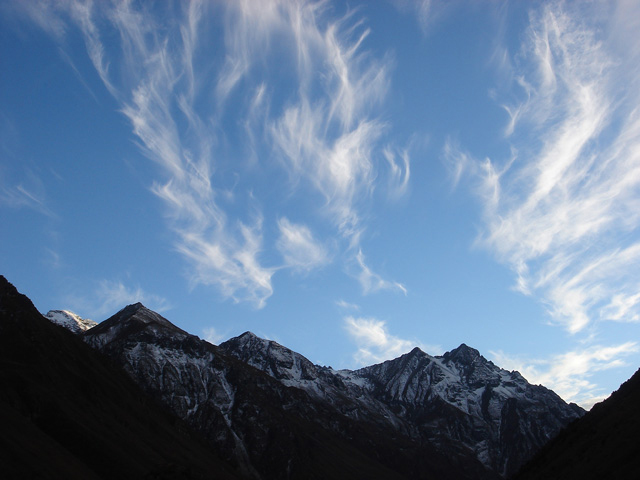 Trust Windhorse to make your visit to this Himalayan kingdom a memorable adventure. TID - 8838 (Guide Namgay) (Snow Leopard Trek, Sept 2015) Anand & Wind Horse Team, Thanks for the reminder. As I mentioned on the phone, I had a great experience on the trip. In advance of the trip, I was grateful for Ugen and Jambay's flexibility in arranging an itinerary on short notice. During the trip, the guide, drivers, cook, assistant, and horseman were very flexible, often deviating from the standard itinerary in order to provide me with a more authentic and unique experience. They were also very supportive when I felt unwell upon first reaching 4000m in elevation at Jangothang. 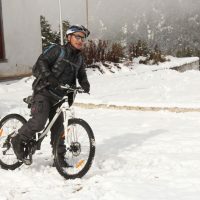 In addition, I appreciated that the crew consisted of honest and reliable individuals (perhaps that is typical in Bhutan but it is not always so with the tourism industry in other countries). 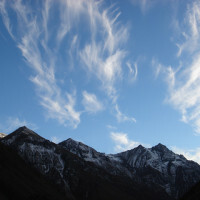 For me, the low of the trip was that first night at Jangothang. I'm not sure what, if anything, could have helped me acclimatize better beforehand, but the following rest day was very helpful. A couple of small pieces of feedback: In Thimphu, I preferred Hotel Osel to Hotel Druk—the room felt a bit more modern and clean and the food was better, but others may prefer the "upscale" feel of Hotel Druk. I was initially also confused by the 2nd night we spent in Punakha, requiring an early wake-up to get to Thimphu for the festival; however, the Dochula pass was relatively clear during the early morning and made for a good view. 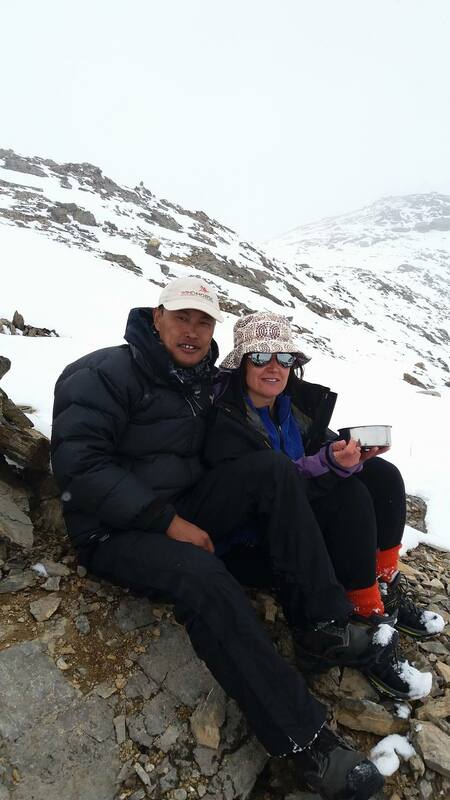 5 " " Snow Leopard Trek TID 760 ( 3 - 17 Oct,2014) Hello Anand, Thank you so much for setting up a great experience for my husband and me. We had a spectacular time! Our guide, Karma was really knowledgeable, helpful, and, best of all, funny! He was also very gentle and didn't push us. 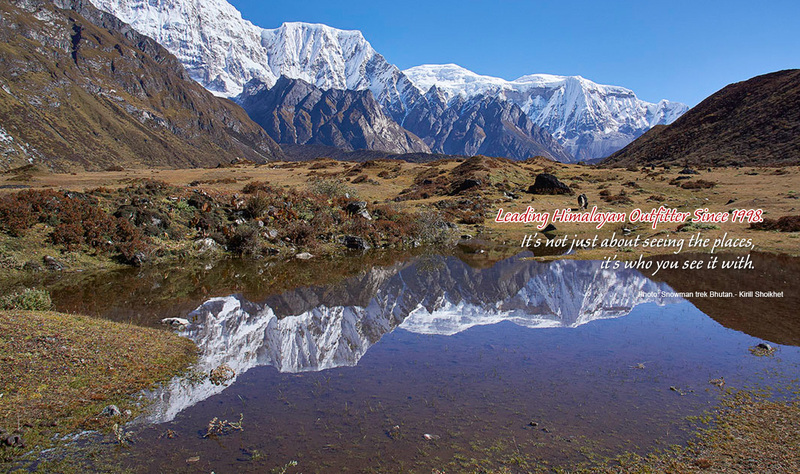 Snow Leopard Trek TID 760 ( 3 - 17 Oct,2014) Hello Anand, Thank you so much for setting up a great experience for my husband and me. We had a spectacular time! Our guide, Karma was really knowledgeable, helpful, and, best of all, funny! He was also very gentle and didn't push us. He understood what all our limitations were and encouraged us to do our best. He was very personable and that helped us enjoy the experience more! One thing that we think Windhorse can improve on is making sure that everyone knows what each person's food restrictions are. On a few occasions, we felt that the cook did not know or had forgotten that we had a vegetarian in the group and that my husband, Varun, could not eat dairy or fried food. For example, one of our lunches was pizza, cheese momos, and fried potatoes. After trekking all morning, it was upsetting that there were no food options for him. During this time, we mentioned to Karma that he could not eat anything from this meal and even though he informed the cook, nothing was done to fix the situation. The food in general was decent. We really enjoyed the soups! It was perfect for the cold evenings. 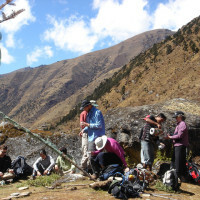 For three dinners during the trek, the soup had meat in it and the vegetarian in the group could not enjoy it, so please make sure this option is available for everyone. It is really the perfect thing to start dinner with. Thank you again and we hope that we can work with Windhorse in the future. 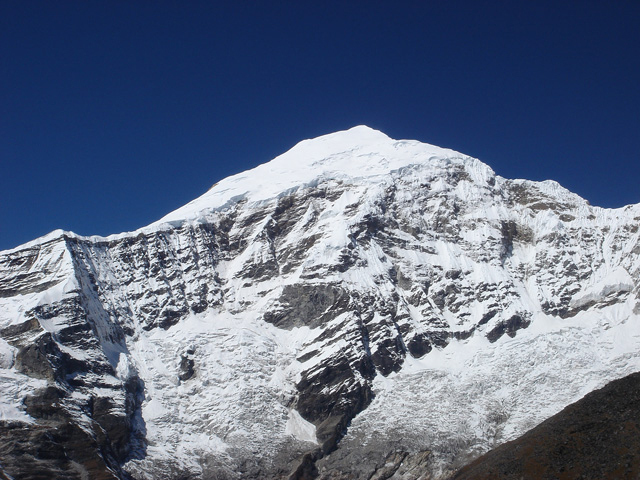 Snow Leopard trek with Rhododendron festival at Dochula pass (TID 765) April 17-May 01, 2014 Thank you for requesting feedback Anand. I would like to start by sayings I greatly enjoyed visiting your country and found your compatriots to be very friendly and helpful while we were there. Our guide, Karma, was very helpful and did his best every day. He was flexible and allowed us to make minor changes to the itinerary to improve the visit. The trekking crew was very good. Our chef and assistants were excellent and very helpful. We did not have a bad meal the entire trip. From arrival to departure, karma and the drivers were always punctual, had a smile on their faces and were happy to be with us. A few thoughts about areas that could be improved. - Auto safety: neither of the vans we used has safety belts for the guests - The first 2 days of the trek need to be combined into 1. These are suggestions for improvement. We had a wonderful time and I would use Wind Horse again and would not hesitate to recommend them to friends. Bhutan is a very unique and distinctive country with amazing nature/mountains Snow Leopard Trek:TID 659 (Oct 13 -Oct 27, 2013) Anand Thapa, I would be happy to be reference for Wind Horse Tours. 5 " " Allen & Tricia's 2nd visit of Bhutan with Wind Horse Ugen, our recent trip to Bhutan was fantastic!! We think we may be addicted to trekking!! Our guide, cook, assistant cook, and horseman were all very professional and friendly...our trip was everything we'd hoped for, and more. 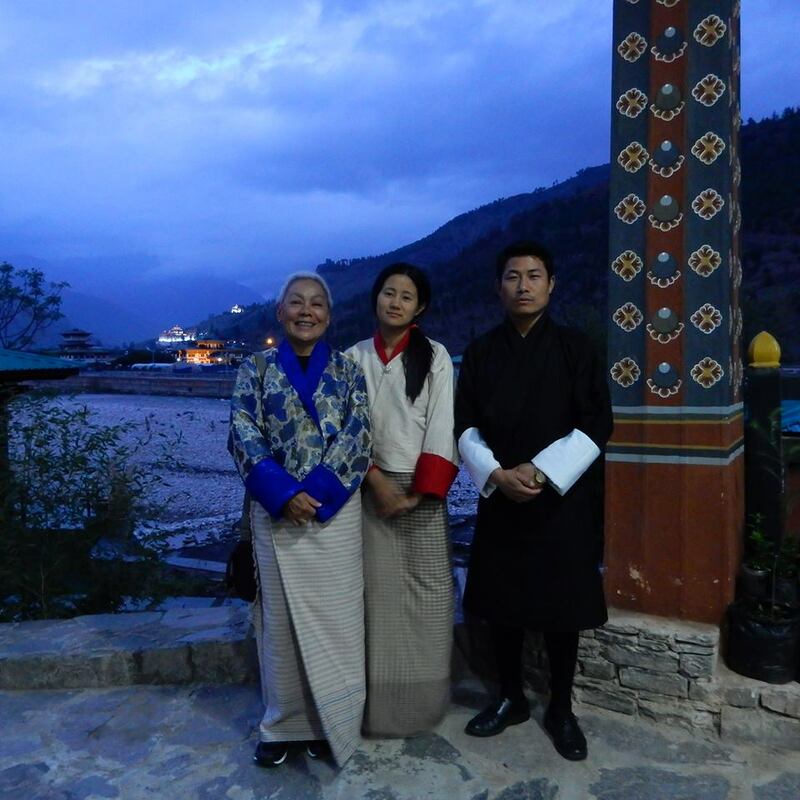 Allen & Tricia's 2nd visit of Bhutan with Wind Horse Ugen, our recent trip to Bhutan was fantastic!! We think we may be addicted to trekking!! Our guide, cook, assistant cook, and horseman were all very professional and friendly...our trip was everything we'd hoped for, and more. Ugen.....I know Pam wrote to you as soon as we got back but I had to go right to work so haven't had time until now to tell you myself how much we enjoyed the trip and your country of Bhutan...Dorji, Jigme, the cook and hourse men and cook's assistant all were wonderful and went over and above to assist.....the weather didn't know when to stop raining but it all worked out in thelong run and the views from those high passes on a totally clear day were incredible to say the least.....thank you for planning it so well and yes, hopefully, we will come back in two years and continue where we left off....it's too early for me to plan that far ahead but I surely would love to see those people again and the rest of the country. Everything seemed to go without a hitch and I know that if from good planning on your company's part. 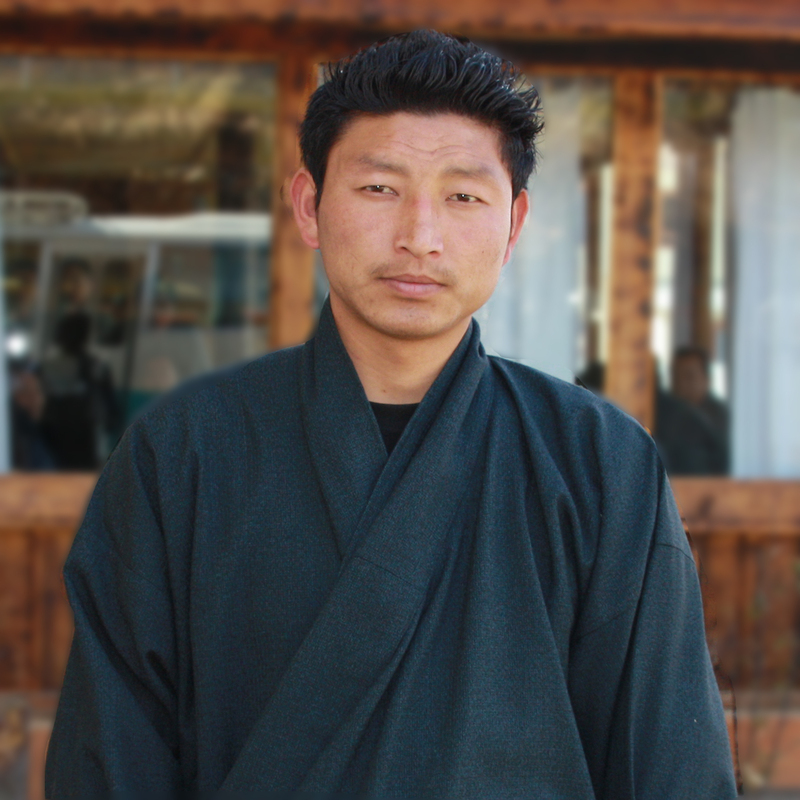 We were especially impressed with Dorji and bonded with him throughout our stay. He is a terrific guide speaks excellent English and was very knowledgeable & professional. He really made our trip! We were also extremely impressed with your cook Siran. The food was the best food we have had on a trek. 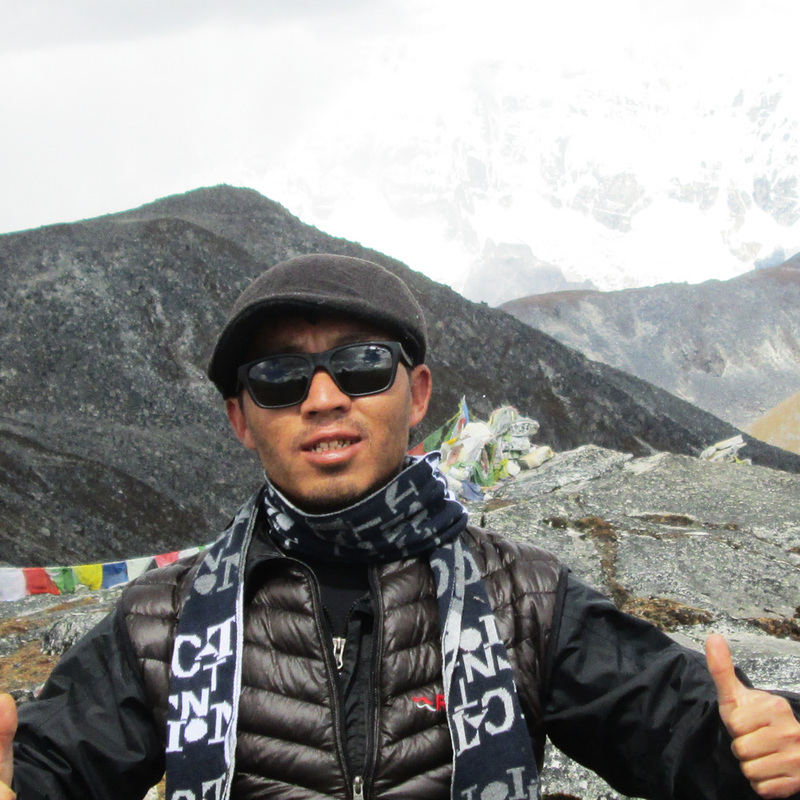 We really want to do another trek with your outfit and use Dorji as our guide in the next couple of years. My brother is going to try to visit Bhutan with his wife next fall and I will make sure he contacts you. I am so happy we found your tour company. The flight connections you made were also very smooth. Thanks so much for all of your help!! We will keep your name in mind for future travels.